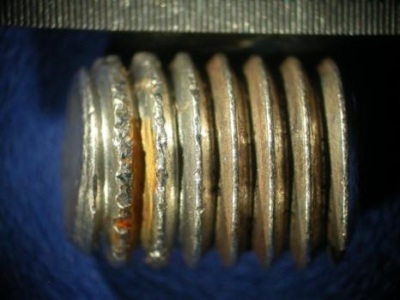 The presence of striations on the fracture surface of three of the five bolts analyzed at relatively high magnifications indicates that failure occurred by fatigue. 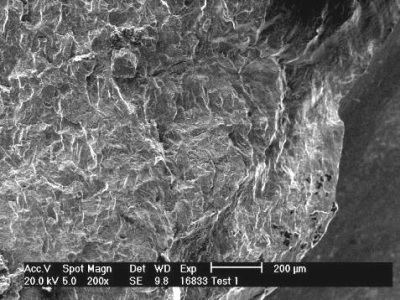 Fatigue failures usually occur as a result of crack initiation and propagation under cyclic loading. 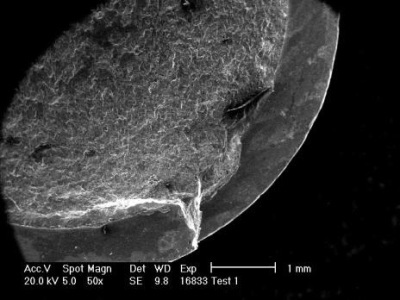 Fatigue failures usually occur at a lower stresses than predicted, usually at strength level of approximately 75% of the ultimate tensile strength. Based on the fracture morphology observed in three bolts, the crack initiation appeared to be a result of over tightening or by deficient design of the cyclically loaded part. While under tightening (under torquing) may also cause cracking and fatigue, the fracture surface in front of the fatigue initiation point on the two bolts which exhibit striations appears to be quasi-cleavage morphology. 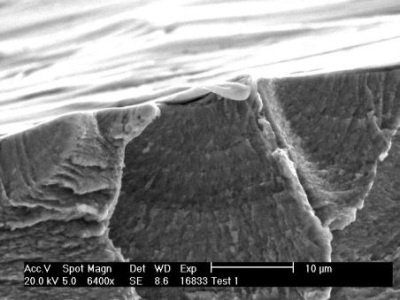 Quasi-cleavage morphology for this alloy indicates overload at the thread root of the fastener with subsequent fatigue. 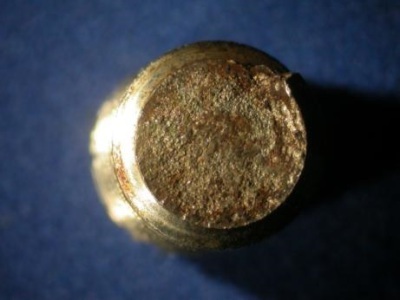 There are no indications that the hardness values or the chemical compositions of this material contributed to the failure. 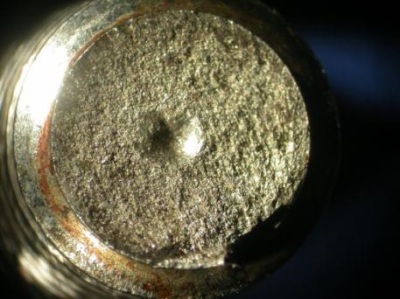 No metallurgical anomalies or problems were detected in the material which would account for this failure.